Very much the truth these days! I also like to have this one on my car’s dash board. 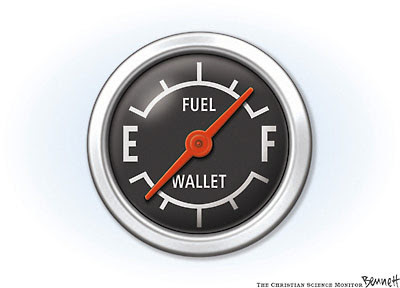 I was just thinking, how this new gadget could indicate the situation where both the tank and the wallet are empty! Anyways, all car owners are thoroughly advised to shift to this new fuel gauge.